"Stainless Banner" did not) that it wasn't a white flag request to negotiate. Only used for a few months in 1865. She [Mississippi] has heard proclaimed the theory that all men are created free and equal, and this made the basis of an attack upon her social institutions; and the sacred Declaration of Independence has been invoked to maintain the position of the equality of the races. Our position is thoroughly identified with the institution of slavery-- the greatest material interest of the world. ... by an imperious law of nature, none but the black race can bear exposure to the tropical sun. 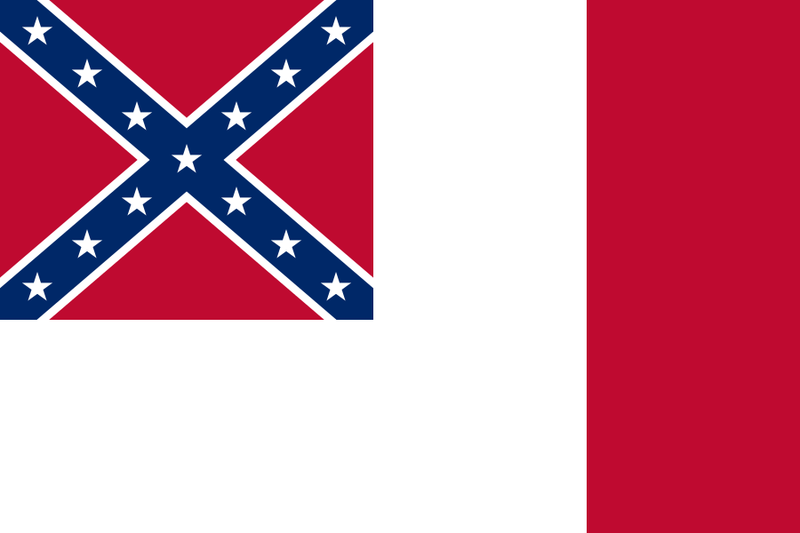 Mississippi leads directly with "it's about slavery!" and follows up with "OMG! Equality for Negros!" and "It's going to cost of billions of dollars". 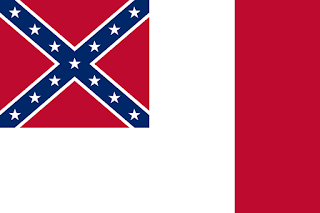 Again, Mississippi wanted to deny northern states the right to abolish slavery within their own territory. That's for anyone who thinks "States' Rights" had anything to do with secession.